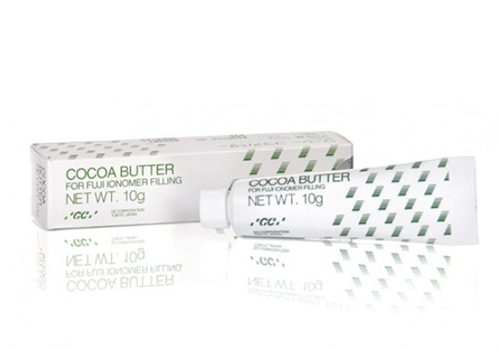 COCOA BUTTER is an excellent separating medium and protective coating for the prevention of water and saliva contamination to exposed surfaces of glass ionomer cements during the first 24 hours after placement. For the prevention of water and saliva contamination to exposed surfaces of glass ionomer cements during the first 24hours after placement. For moisture proofing of luted lines.